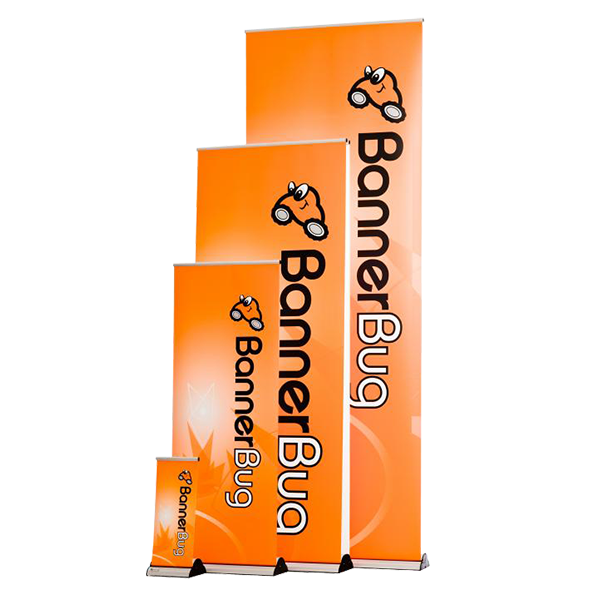 Up in seconds, BannerBug is strong, lightweight and portable! 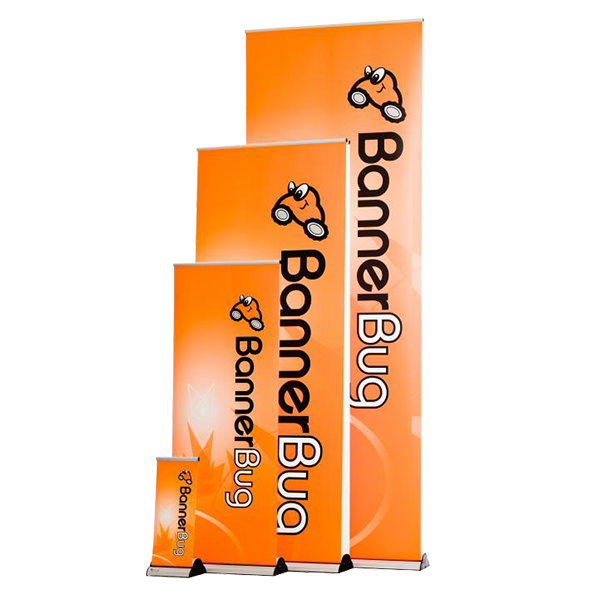 Available as a single or double-sided display, the top-selling BannerBug comes in a range of sizes, from the pint-sized Desk Bug to the 9.5’ Giant Bug. BannerBug displays are sleek and modern. They roll up in seconds, and when new graphics are needed, they are quick and easy to change with the low-profile, hook and loop velcro top rail. Widths range from 8.69” (220mm) to 114” (2896mm). The base is silver with a black end cap. A black base color is available by special order. All BannerBug displays come with a nylon carrying bag. Optional hard case is available. BannerBug is backed up with a lifetime warranty. *BannerBug is only available in the North American market.